We come now to the final section of Christ’s Olivet Discourse. The disciples have asked some questions about the end of the age, and Jesus answers in Matthew 24-25. This last section is the judgment on the sheep and the goats. The sermon concludes with four parables, which Christ has arranged in units of two each. The first two parables are a pair of parables, and the second two parables are also a pair. 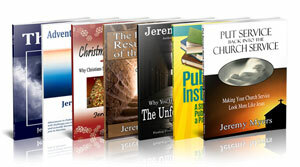 The first parable of each pair refers to those believers who live during this age – the age of the church. The second parable of each pair refers to those who live during the tribulation period. We are looking at the final parable of the four. Of all of Christ’s teachings in these two chapters, this parable is the easiest to understand because Christ is very clear on when these events will take place, who exactly this judgment is upon, and what exactly happens at this judgment. The timing of the judgment is found in Matthew 25:31. Matthew 25:31. When the Son of Man comes in His glory, and all the holy angels with Him, then He will sit on the throne of His glory. When will this judgment take place? It will take place when the Son of Man comes in His glory. The only event in the future that this can possibly refer to is when Christ returns from heaven, to earth, and sets up His throne in Jerusalem. This cannot refer to Him being seated at the right hand of God in heaven. It refers to the time after the seven year tribulation, right before the 1000 year Millennium when Christ will come from heaven, with His angels and set up his throne on earth to rule for 1000 years. And when He comes, one of the first things Christ will do is judge all the people alive at that time. This is what the first part of Matthew 25:32 reveals. Though billions of people will die during the tribulation, not all of humanity will be wiped out. There will be those who survive the tribulation, both saved and unsaved. All survivors will be gathered together to stand before Jesus Christ. Christ wants to set up a perfect kingdom, and to do this, He must first separate his loyal subjects from those who would not be loyal to Him. He wants to begin his reign with only those who will serve Him. And so He begins this judgment by separating the sheep from the goats. Matthew 25:32b-33. and He will separate them one from another, as a shepherd divides his sheep from the goats. And He will set the sheep on His right hand, but the goats on the left. The Gentile nations are divided up into two classes of people – the sheep and the goats. He is able to instantly determine which are the sheep and which are the goats, and divides them into their two groups. The sheep are put on the right hand of Jesus and the goats on the left. We have not yet been told what makes a sheep a sheep, and why a goat is a goat, but Jesus goes on to explain this in the rest of our text. We are also told what happens to them. Jesus explains the sheep first. 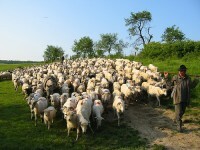 The sheep are invited to inherit the kingdom that has been prepared for them. Notice they are not invited to enter the kingdom, but inherit it and receive great privilege and honor in the kingdom. The reason for this reward is because of the way they treated Jesus Christ during their life. They fed Him, gave Him food, clothed Him and visited Him in prison. Although these people are glad they have received such a wonderful inheritance, they are nevertheless confused. So they ask what He means in Matthew 25:37-39. They have never seen Jesus before, and wonder how they could have done all these things for Him. Remember that these individuals have not been saved for very long. The absolute maximum any of these Christians could have been saved is seven years, but since the 144,000 really don’t get sent out until half way through the tribulation, most of these sheep had probably not been saved more than three and half years. So they do not know the Scriptures very well. They maybe do not realize some of the intricacies of Biblical theology. And maybe they didn’t have the luxury of studying the Scriptures like we do, but were more concerned with staying alive and hiding from the attempts of the antichrist to arrest and kill them. This probably accounts for some of their ignorance about how they had cared for Jesus. So he tells them in verse 40 how they had don’t these things for Him. Jesus says that when these people served His brethren, it was as if they were serving Him. We must be careful to understand this accurately. We have all probably heard people use this passage to call us to acts of public service. We are told to go and feed the hungry, because as we do that, it will be like we are feeding Christ. We are told to clothe the naked, and start a prison ministry, because as we do this, we are doing it for Christ. But who are the sheep in this passage? They are some of the people who survived the tribulation. They are some of those who made it through the tribulation. Christ praises them for their actions during the tribulation. Since we are not now living in the tribulation, this passage does not exactly apply to us. Nevertheless, there are principles within this passage that do apply to us, even though it is not exactly parallel to our own situation. Although this passage refers primarily to those people who live during the Tribulation period, we do know that even in this age of the church, when we serve others, it is as if we are serving Christ. Especially if these others are Christian brothers and sisters in need. We know from everywhere in Scripture that it is our responsibility to care for other Christians. And since all Christians are members of the body of Christ, when we serve other Christians, it is as if we are serving Christ. Jesus teaches in Matthew 10:40-42 that if we receive prophets and teachers and even do something small like give cups of cold water, then we will receive reward and praise from Jesus because it was as if we were doing these things to Him. We should all be involved in feeding the hungry, clothing the poor, giving rest to the weary, visiting those in prison or sick at home. Although this is a Scriptural truth, Matthew 25 is not talking about this. It is talking about people who live during the Tribulation, and how they treated the brethren of Christ. So who are the brethren of Christ? When we understand what happens during the Tribulation period, it becomes clear who the brethren of Christ are. The seven year tribulation is also known as Daniel’s 70th week in which God completes His plan and promises to the people of Israel. During the Tribulation, Jewish people in general will be hated and despised, hunted and killed because they reject the antichrist as the Messiah and reject him as the world ruler. While all the world embraces the antichrist, the Jewish people reject him. Instead, all Israel turns en masse to believe in Jesus Christ as the one and only Savior. Out of these millions of Jewish converts, 144,000 radical missionaries go out and with signs and wonders take the Gospel to the ends of the earth and complete the Great Commission. There will also be two Jewish witnesses who challenge the world system and condemn the antichrist as an evil fraud. They stir up so much trouble that eventually, they are assassinated and left in the street to rot while the rest of the world celebrates their death. But as those 144,000 powerful Jewish missionaries travel about the earth, and as they face persecution, famine, danger, nakedness and sword, it will be just like the times of World War II, when people had to choose whether they would help the Jewish people or turn their back upon them. Here is the point. Jesus is Jewish. During His life, He was rejected and despised. During the Tribulation, all of Christ’s Jewish brethren will turn to Him and recognize Him as the Savior. But because of this, they too will be rejected and despised. Nevertheless, they will go about the work of evangelizing the world and spreading the Gospel. As they do this, they will be hunted down and imprisoned. They will be persecuted. Those who have jobs will lose them. Their homes and possessions will be taken away. Since they refuse to take the mark of the beast, they will be viewed as terrorists and will not be allowed to buy or sell. As such, many of them will go hungry, thirsty and naked. And Jesus says here that if those living the tribulation take care of His Jewish brethren in their time of need, then it is as if Jesus Himself is being taken care of. And for such compassion, these people receive great reward. Some people wonder how these sheep are able to provide for the Jewish missionaries and Jewish people if the only way people can buy and sell is with the mark of the beast. In other words, if one can only buy or sell with the mark of the beast, so that the Jewish believers cannot buy or sell, then how is it that the sheep of this parable are able to buy and sell so that they can provide for the Jews? The only answer is that the sheep do not take the mark of the beast. There will be people who live during the tribulation who are not deceived by the powerful delusion of 2 Thessalonians 2 and who do not take the mark of the beast which Revelation 14 talks about. Very likely, they will be those living in the underdeveloped areas of the world where technology has not reached such as places in China, Indonesia and India. These sheep, because they have not taken the mark of the beast, and also because they live in areas that are not so completely controlled by technology as we are in the west, will still be able to buy and sell with a limited capacity, and so will be able to take care of the Jewish missionaries. Because of this, they will receive great inheritance in the kingdom. The opposite is true of the goats. I really like how specific Christ is here. Some think that Christ refers to hell when He talked about weeping and gnashing of teeth, and the darkness outside. I have challenged that view as we looked through Matthew 24-25. There are many exegetical and cultural reasons to believe that weeping and gnashing teeth can take place either in heaven or hell, and that the darkness outside only refers to missing the wedding celebration at the beginning of Christ’s Millennial reign. But here we come across a contextual reason for seeing that the idea of the darkness outside does not refer to hell. When Christ wants to talk about hell, He is very specific in what He means. When He wants to clearly refer to Hell, He doesn’t leave any doubts about what He is talking about. He refers to hell as the everlasting fire prepared for the devil and his angels. This is hell. And notice He doesn’t mention anything about the outer darkness. And if Christ’s statement here isn’t clear enough, he elaborates again down in Matthew 25:46 about these goats being sent into everlasting punishment. Though true believers may lose reward and privilege in the kingdom, such loss of reward, to my knowledge, is never referred to as everlasting punishment. So these goats are the unsaved survivors of the tribulation. They are the ones who probably took the mark of the beast, and followed the antichrist in his rebellion against God. During the tribulation, they did exactly the opposite of everything that the sheep did. Jesus explains this in Matthew 25:42 and following. Whereas the sheep receive an inheritance in the kingdom, these goats receive only condemnation and eternal punishment. But we all understand from the rest of Scripture that there is only one condition to receiving eternal life and that is believing in Jesus Christ for it. We also know from numerous passages that it is also possible for someone who is truly born again to be basically a failure in his or her Christian experience but still be saved. Yet here, it seems as if the sheep are sheep because they took care of Christ’s Jewish brethren. But it is actually the other way around. These people took care of Christ’s Jewish brethren because they were already sheep. Sometime during the tribulation, they believed in Jesus for eternal life, and because of this, they obeyed what God’s Word said they should do, and took care of the Jewish missionaries who had shared the good news of the Gospel with them in the first place. Their good works did result from them having received eternal life, and because they performed these good works, they receive great reward in the Millennial Kingdom. There will most likely be some unfaithful sheep during the tribulation, just as there will be some unprepared virgins as in Matthew 25:1-13. But they are not mentioned here for three reasons. First, Jesus is speaking in broad terms, and the focus on the parable is on reward given to the faithful. Second, there probably will not be very many unfaithful sheep because the persecutions of the antichrist make it very difficult for many people to become believers during that time. Finally, the separation of the unfaithful sheep from the faithful sheep takes place right after this event. After the goats are removed from the scene, Jesus then turns to the sheep and divides them between the faithful and the unfaithful, and only invites the faithful sheep to take part in the wedding celebration. Other passages of Scripture teach this. As far as the goats are concerned, we must understand that this judgment is a preliminary hearing. We are all familiar with the judicial process. A suspect is arrested, and then formally charged with a crime. At that point, his prison term begins. But at some future date, the actual trial takes place during which time, the different sides present their case, the books are opened, testimony is given, and finally, after all is heard, the sentence is pronounced. If the person is convicted, they are sent back to prison. If they are found to be innocent, they released. God is a fair judge, and the judgment upon the goats is a preliminary hearing. It is here where the goats are charged. It is not a sentence. Not yet, anyway. At the conclusion of the Millennial reign of Jesus Christ, there will be one final judgment upon all the lost people throughout time. It will be a judgment for those who died and went straight into hell, a judgment for those who were sent there at the end of the tribulation, and a judgment upon those who were born during the Millennium, but join with Satan in one final rebellion against Christ. Christ will empty hell and take all the people throughout time who never believed in Him, and allow them to present their case before Him. The books will be opened, and they will be judged according to the impartial standard of the law. Each will be found conclusively guilty. There will be none that will be wrongfully accused or condemned. Even the devil and his demons will stand before the judge at this trial. And all of them will be sent to the lake of fire where they will receive eternal punishment. Matthew 25:46 summarizes all of this. Matthew 25:46. And these will go away into everlasting punishment, but the righteous into eternal life. The goats go into everlasting punishment, but the righteous into eternal life. These sheep are not righteous because of their good works, but because they believed in Jesus for eternal life. The only way to become righteous is to believe in Jesus Christ and receive His righteousness. So once again we see the truth that eternal life is by grace alone through faith alone in Christ alone, but that inheritance in heaven is based on faithfulness. In the weeks to come as we learn more about rewards and our eternal significance, we will learn more about this concept. Though this parable is about future events, the application for us is twofold. First, just as the sheep of God should live for Jesus during the tribulation period, we as the sheep of God in this age, should live for Jesus as well. We must serve and minister to other members of the church, because in so doing, we are serving Christ. Second, since we do not know when the tribulation will begin, we do know that when it does, it will be very difficult, if not impossible for people on earth during that time to believe in Jesus for eternal life. Therefore, we must be doing our best now to persuade men that now is the time to believe, today is the day of decision. They must choose now, for they may not get another opportunity.